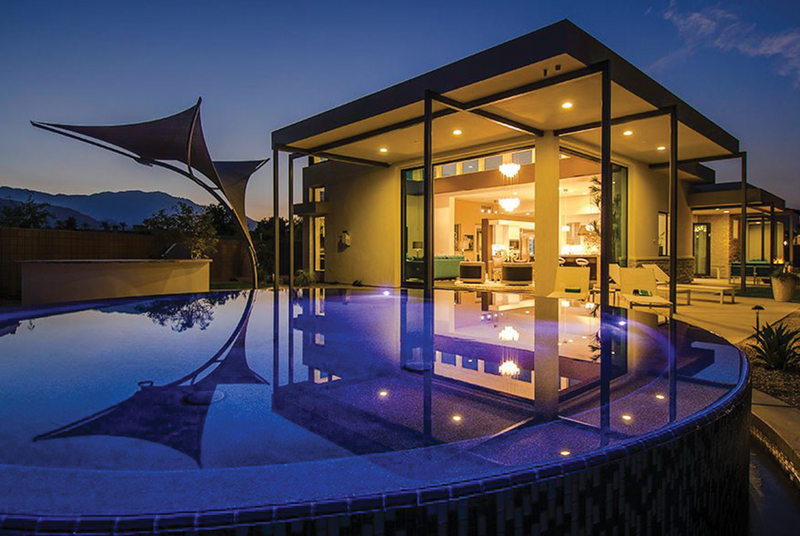 Creation of outdoor environments that are unique and memorable defines great design. We work closely with clients, architects and contractors to develop a plan that is both aesthetically and functionally appealing. By strategically considering hardscape placement in relation to buildings, roadways and other structures, we carefully craft a landscape architecture design based on environmental conditions, while still enhancing the ambiance of the space. From traditional design to modern to drought tolerant landscaping, we focus on appropriate plant options and responsible irrigation systems. Working within client budgets and timeframes, the outcome of the design process will be a balanced solution. At Hermann Design Group, we evaluate the overall project to create a landscape architecture plan that strategically balances function with appealing aesthetics while considering existing or proposed structures, roadways, and pedestrian access. We collaborate closely with clients, architects, and other project stakeholders to ensure a mutually successful outcome. We pride ourselves on a wide range of design abilities and styles to accommodate the array of architecture styles and other client needs. 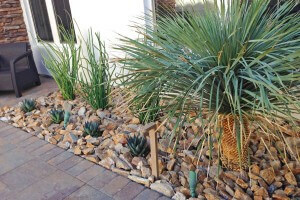 With water conservation a priority, we carefully balance planting options with creative irrigation solutions to create drought tolerant landscape architecture design while maintaining an aesthetically pleasing outdoor environment. Strategic and appealing hardscape features add interest, functionality and also contribute to the reduction of necessary turf or groundcover. 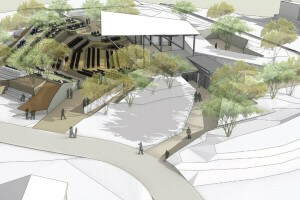 The hardscape design is a collaborative process with the client, architect, and civil engineer to strategically place walkways, retaining walls, and water features that create an environment with the most functionality and aesthetic impact. 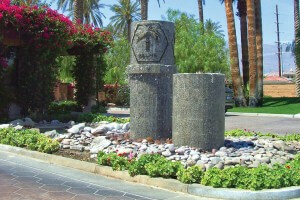 Even during a time when water conservation is a priority, water features can be incorporated in appropriate ways. Water features add interest, creating a focal point and adding soothing sounds to outdoor spaces and a major statement at entryways. Many water features utilize recaptured water making their addition of little consequence to your overall water usage. The entryway to your business or development is the first impression for customers and guests. We work closely with clients to ensure that the entry design is representative of the project character. Our designs incorporate hardscapes, landscape architecture, and lighting design to ensure a cohesive and complete solution. Additionally, we provide coordination of graphic design, lettering style, and optimal signage size. In our climate we have a large selection of plants that thrive year round. With the recent push toward water conservation, we work closely with clients to create a water smart plan that provides an aesthetically pleasing design. Our experienced landscape designers creatively combine native and drought tolerant plants that accentuate the style of the architecture and achieve the appearance the client requires. 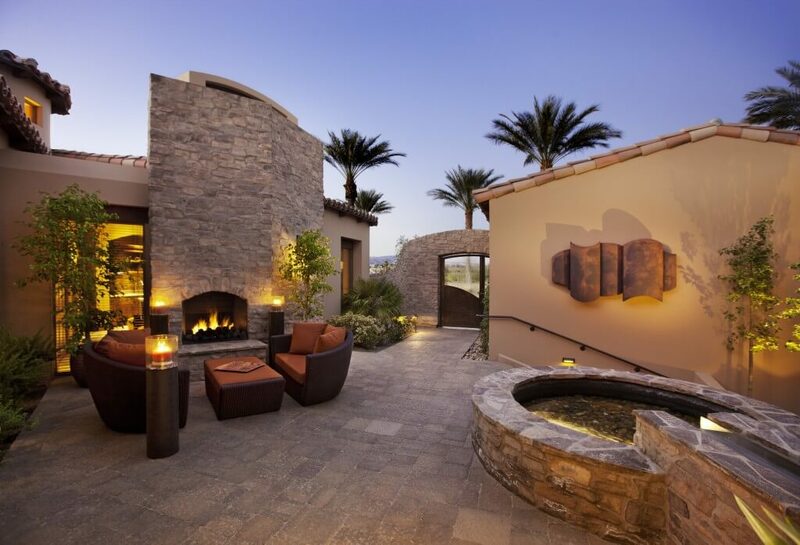 Artwork and sculpture create unique focal points and can reinforce the style guidelines or character of the property. We work with clients and artists to provide options for a variety of garden art and sculpture.